Last week while attending the “Genealogy Help in Hawaii” seminar, it was shared that the Mission Houses Museum and the Hawaiian Mission Children’s Society is making a call to their 8,000 missionary descendants to come forward and take a page each in the ‘Ike Kū‘oko‘a — Liberating Knowledge Hawaiian newspaper transcription project. The organization is making a world-wide public call for volunteers to assist with taking 60,000 digital scans of Hawaiian-language newspapers that were printed from 1834 to 1948 and transcribe them into searchable typescript. Of the 125,000 pages originally published, 75,000 have been found and made into digital images, and 15,000 of those images have been typescripted. Our goal is to make the whole collection word-searchable. Sign up today at Awaiaulu.org and encourage others to do the same. The organization has an aggressive goal of completing the project by summer 2012 which will require 200,000 volunteer hours. One of the other attendees at last week’s seminar has been involved with this project for some time and said that at the rate the project had been moving it would take 30 years to complete… this call for more volunteers is in direct response to moving this project forward in a timely fashion. Over 125,000 pages of Hawaiian-language newspapers were printed in more than a hundred different papers from 1834 to 1948. They equal a million or more typescript pages of text – perhaps the largest native-language cache in the western world. They became an intentional repository of knowledge, opinion and historical progress as Hawaiʻi moved through kingdom, constitutional monarchy, republic and territory, yet only 2% of that repository has been integrated into our English-speaking world today. ‘Ike Kū’oko’a is a dynamic move to change that percentage and to open up this resource for general access today. Registration was simple and I’m so excited – eagerly awaiting my “reserved page” to start. My Great-Grandfather Elia Kala Waiwaiole, Sr. would celebrate his 114th birthday if he were alive today. 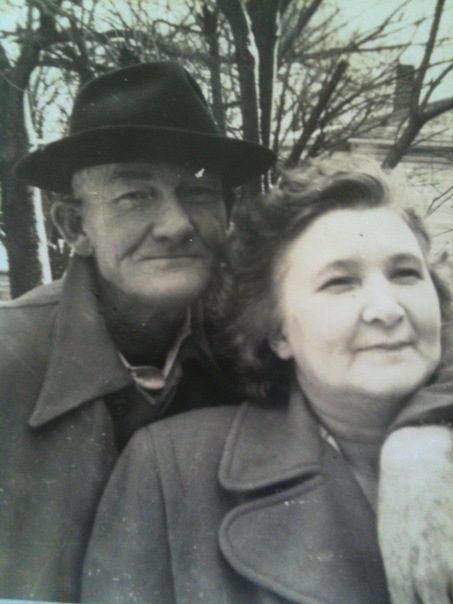 My great-grandparents Paul & Elizabeth Whitfield resided in Raleigh, North Carolina. Great-grandpa Paul is my brickwall ancestor – with a mystery surrounding his “surname.” One tale is that he took the name from another passenger aboard the ship upon which he immigrated from Marseilles, France. It’s been a little bit since I’ve posted…been busy researching FERNANDES/ FERNANDEZ, AYRES/ MOSS, and WAIWAIOLE lines recently. I also joined a 30 day photo challenge this month and today’s theme photo to capture was “favorite something”. On the Fernandes line — I’ve made some headway into discovering some living relatives and finding out more about what happened to Uncle Manuel Lino Fernandes‘ family by 1930. (Manuel is pictured above 2nd row last on the right). In 1920 — his wife and five children are found residing on Tenth Avenue in Palolo Valley, but by 1930 the family is completely separated – the children in two different orphanages/institutions, Manuel back on Metcalf with relatives and wife Mary Faria Neves still missing – but oral tradition says she may have been admitted to the “insane asylum” or the Oahu Asylum in Kalihi/later moved to the Territorial Hospital in 1930 now known as the Hawaii State Hospital in Kaneohe. Not much more is known at the moment about this mystery of a family broken right at the turn of the decade in the era of the Great Depression. I did find a lead/ possible resource and hope to collaborate further after I read the essay, “The Remembrance Project – Remembering the Past to Move to the Future” written by Randolph Hack a Consumer Advisor to the Adult Mental Health Division in Honolulu. Apparently from its opening till 1960, deceased patients were cremated and then stored in cardboard boxes with names handwritten on front — by 1960 a local reporter exposed the poor conditions and record keeping of the deceased – names faded, cardboard remains boxes deteriorated and mildewed, remains spilling out. As a result the 668 remains were inurned at Hawaiian Memorial Park Cemetery July 1, 1960. Several bronze plaques list “names” for 541 of the 668. I’ll have to do a visit and search for Mary on the plaques; she would have been about 33 years of age in 1930 so it could be possible she passed by 1960 and would have been one of the interred. Until the 1940 Census is released next year, the 1930 Census is the only clue of the whereabouts of the children: the eldest two James and Herbert are found at the Home for the Feeble-Minded persons at Waimano (now Waimano Home). The three younger children Walter, Hazel and Manuel, Jr. were at the Kalihi Orphanage Asylum also known as St. Anthony’s Retreat Center.